Wastwater. Photo via British Tourist Authority. A diver from Lancashire has died after getting into difficulties in England's deepest lake. The man, who has not been named, was pulled from Wastwater in Cumbria yesterday. 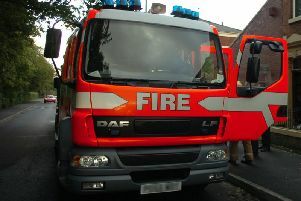 The diver, who is in his 60s, is believed to be from Lancashire but no further details have been released by police. North West Ambulance Service (NWAS) was called to scene in the morning after he failed to resurface. A spokesman from Cumbria Police said on Saturday evening: "The diver pulled from Wast Water earlier this afternoon (Saturday, April 21). A man in his 60s from the Lancs area has died. "The next of kin of the man have been informed and the death is not being treated as suspicious. "A file will be prepared to be passed on to the coroner." Volunteers from Wasdale Mountain Rescue Service, firefighters and police were on the scene following calls from NWAS. A spokesman for Wasdale Mountain Rescue Service said: "We were called by NWAS about reports of a diver who had got into trouble on Wastwater and was under the water. "Other divers in the area were able to bring the diver back to the surface from where the team boat was able to take him to the lake shore. "A large multi-agency team had assembled on the lake shore including the North West Air Ambulance, a ground team from the Great North Air Ambulance, NWAS paramedics, Cumbria Fire and Rescue, Police and MCA. "All possible attempts were made to revive the diver but unfortunately they proved unsuccessful. Our thoughts are with the divers family and friends." Wastwater, situated near Scafell Pike, is three miles long and 260ft deep. It is owned by the National Trust. The death is not being treated as suspicious and his family have been informed.